Sew pocket facings to the pocket bags and press. 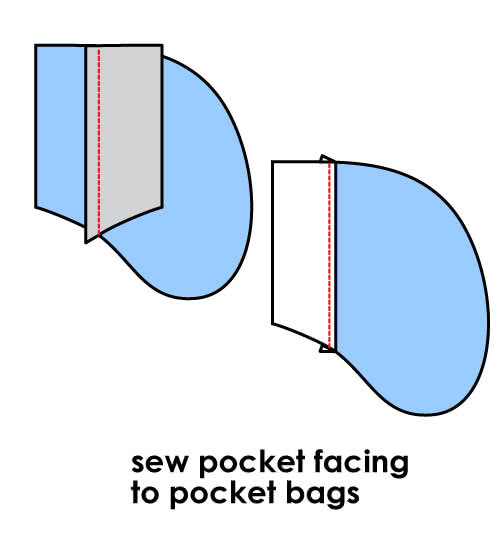 Sew pocket bags to main piece between notches. Turn back & press lower pocket bag only. 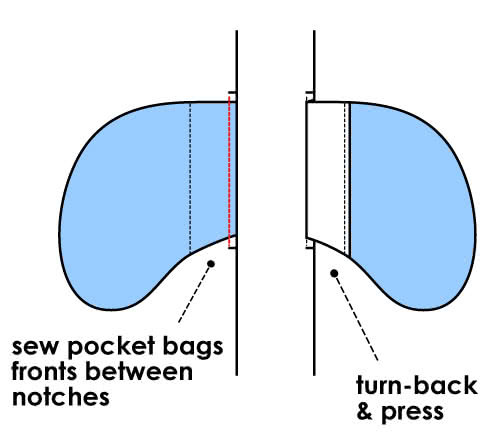 Lay top & lower pockets, pin and stitch the seam and around pocket bags. 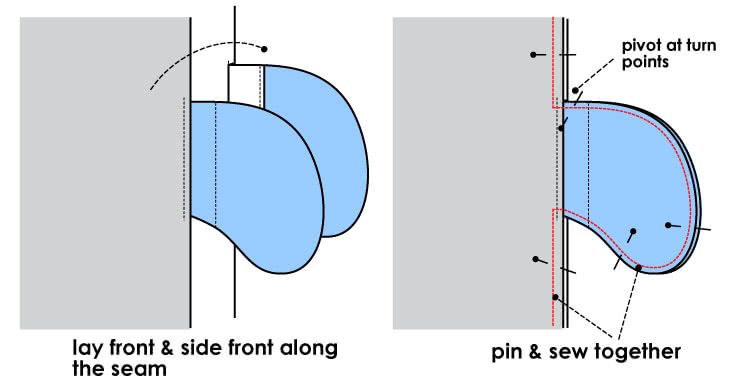 Make sure that seams and perfectly aligned. Before you turn to right side secure-stitch 2cm from both ends of the pocket opening. Turn to face and press if required.